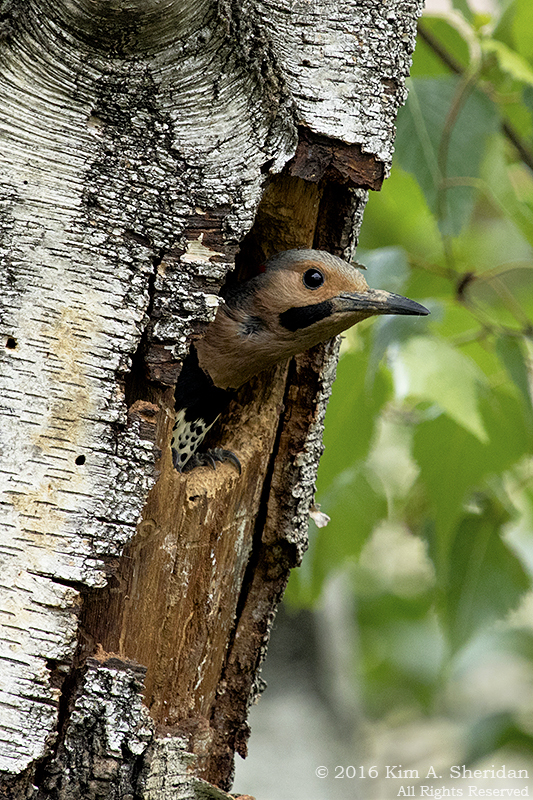 A month ago, a Northern Flicker pair had spent days preparing a nest hole in my gray birch tree, only to be evicted by a squirrel. Then House Sparrows moved in, to be booted out by squirrel in turn. Now there’s a male flicker in the cavity. Will he and his mate successfully raise a brood of little flickers? Or will the squirrels chase them away again? This entry was posted in Birds and tagged Birds, Nature, Nests by Kim. Bookmark the permalink.